From residential to mega solar we will propose a photovoltaic power generation suitable for customer's requirements and site conditions. Since the fixed purchase price system was started, a large number of power generation facilities were installed. The photovoltaic power generation dramatically changes environment surrounding, such as changing fixed purchase price and introducing output control. However, our company's fresh solar photovoltaic power generation system and can propose installation method according to customer's budget / request by optimal procurement / construction method,You can realize attractive profit under any circumstances. We also have a carport equipped with solar power generation system making full use of our know-how. Please consult us when considering effective use of land and space by all means. Our roof-mounted solar power generation system is characterized by high power generation efficiency and low installation cost. Normally, the member for installing a solar panel called a mount is made of steel. 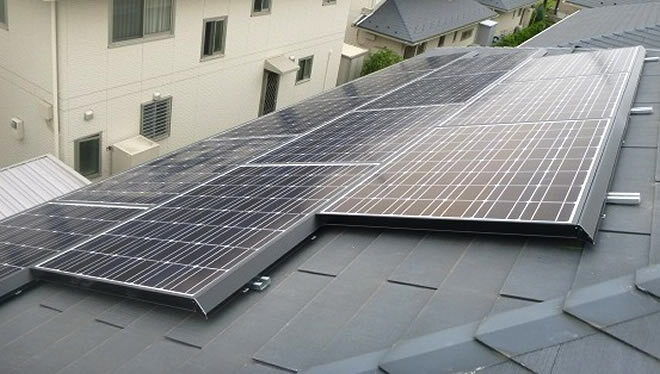 Our roof-mounted solar power generation system adopts a lighter weight aluminum stand,and reduce the installation cost and load reduction on the roof. Maintenance of photovoltaic power plants has been mandated since 2017. 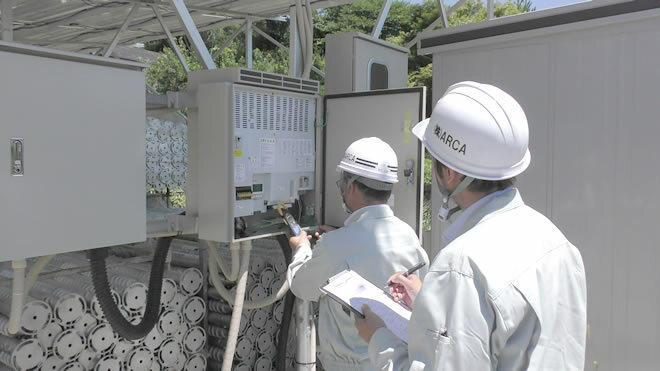 Our company regularly conducts inspectios from low pressure to high pressure and mega solar power station, and contributes to stable operation of customers' photovoltaic power stations and improvement of business profit by collecting data, investigating and diagnosing. 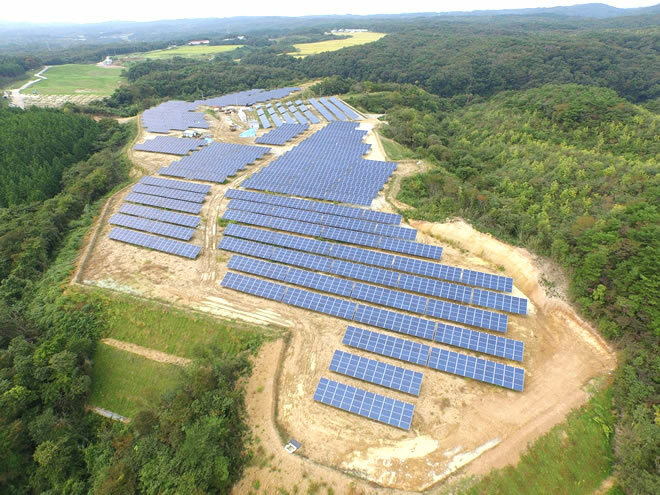 In general, many people have an image of maintenance-free solar power generation, but it is reported that there are many photovoltaic power plants where the amount of power generation is decreasing due to abnormality of facilities and equipment at present. The number of periodic maintenance · the inspection items can be set arbitrarily, so please feel free to contact us first. We will investigate whether idle land can be used as solar site. The land that is not in use, we will support the re-use and monetize the land that had been used as farmland. Is it possible to install? What is the installation capacity? Can we secure power generation? Is preparation necessary? We check the number of items and investigate whether it can be used as photovoltaic power generation site.In some cases where application and consultation governmental agencies is necessary, we also accept various substitute services such as diversion of agricultural land · forestry development and preparation of adjustment reservoir plan. Also, even if you are thinking about selling or renting the land, it is possible to respond to the survey, please contact us first. Continuous monitoring and visualization of power generation will continue to watch solar power plants.We will promptly discover and solve power generation stop and power reduction caused by unexpected equipment troubles and other factors and support stable operation of photovoltaic power generation equipment. We will resolve and support the stable operation of photovoltaic power generation facilities. Our staff quickly rushed If a failure occurs, it reduces the reduction of revenue from electricity sales by carrying out the recovery correspondence . Furthermore, the enforcement began on April 1, 2017 ""Revised FIT Act"" required Maintenance for maintaining stable power generation business and compliance with relevant laws and regulations are required.